Veteran actors Michael Caine and Morgan Freeman discuss their heist movie Going in Style, podcast S-Town is reviewed and Tate Britain's Queer British Art 1861-1967. 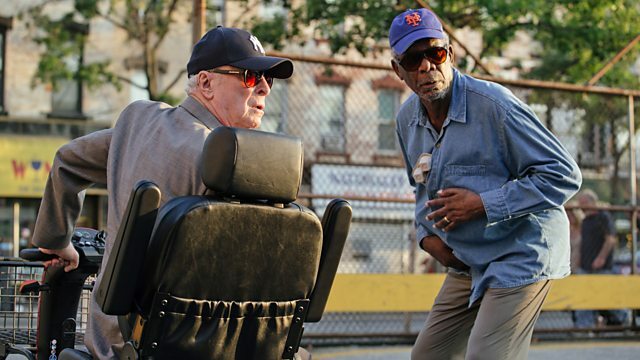 The film Going In Style stars Michael Caine and Morgan Freeman as septuagenarians facing poverty after their pensions are cancelled and their bank threatens to foreclose on their homes. Desperate to support their families and pay the bills, they decide to hold up the local bank. They discuss this new genre of "geriatric lads" movies, the bad behaviour of some younger actors, and remember a time when they both did not have enough money to eat. Podcasts have been around for over a decade, but with S-Town breaking all records with 16 million downloads this week, they have become a fixture in the mainstream cultural landscape. Radio critic Pete Naughton takes us through his top picks of the most exciting, innovative ones to listen to right now. As the rainbow flag flies atop the Tate Britain in London to accompany its exhibition Queer British Art 1861-1967, curator Clare Barlow and artist Jack Tan discuss the ideas and issues raised by the show. After the MTV Movie and TV awards have scrapped gender-specific categories, film critic Tim Robey discusses whether it's time to drop the gender tag altogether and how this might affect prestigious awards like the Oscars.